Inky caps are a group of mushrooms that have an unusual method of distributing their spores. Members of the group digest their own cap. The gills are located on the undersurface of the cap and bear the reproductive spores. As autodigestion takes place, the cap and gills change into a black, gooey liquid. The spores aren't digested, however. They are released in the liquid and exposed to air currents, enabling them to be carried to new areas. The shaggy mane and the common inky cap are North American members of the inky cap group. One common inky cap mushroom in North America is Coprinus comatus, which is also known as the shaggy mane, shaggy inky cap, and the lawyer's wig. The shaggy mane has a widespread distribution and is found in Europe, Australia, and New Zealand as well as in North America. 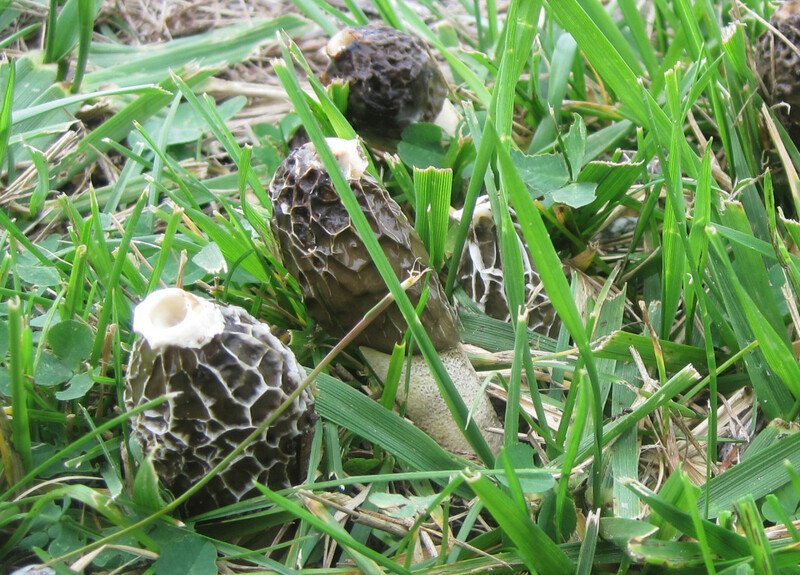 The mushroom is versatile and appears in bare soil, grass, areas with gravel, and disturbed areas beside roads. It commonly appears in the fall. Another inky cap in North America is Coprinopsis atramentaria. It's also known as the common inky cap, tippler's bane, and the alcohol inky. Like the shaggy mane, it's an edible mushroom. The common inky cap contains coprine, however. Alcohol should be avoided when eating this species. The correct identification of both mushrooms is vital before they are used as food since poisonous mushrooms can be dangerous. As in all fungi that produce mushrooms, the body of the shaggy mane fungus consists of thread-like structures called hyphae. The branching hyphae form a mass known as a mycelium that is usually hidden in the substrate of the mushroom. The mycelium produces aerial mushrooms to distribute the reproductive spores of the fungus. 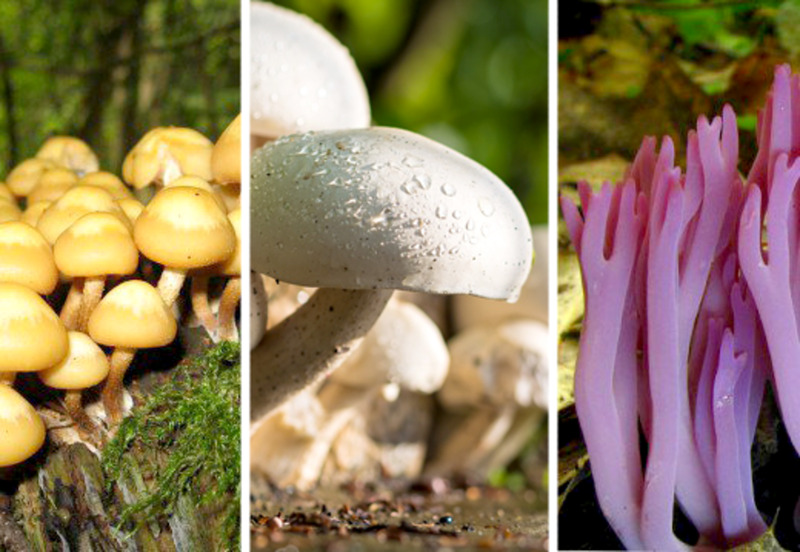 Unlike plants, fungi don't contain chlorophyll and can't produce their food by photosynthesis. Instead, they secrete digestive enzymes into their food source and then absorb the products of the digestion. Some fungi are more active than others in their effort to get food. Nematophagous fungi immobilize, kill, and digest tiny worms called nematodes that live in the soil. Researchers have discovered that Coprinus comatus is nematophagous. The young shaggy mane mushroom is elongated and roughly cylindrical in shape. It's white or cream in colour but generally has a brown tip. The cap is covered by cream or tan scales that are upturned. The scales make the mushroom look somewhat like a traditional lawyer's wig and give it one of its common names. The gills under the cap are white at first but gradually turn grey and then black. A ring of tissue called an annulus surrounds the stem of the mushroom. The mushroom doesn't open to form the typical umbrella shape of grocery store mushrooms until it begins autodigestion, turning black as it does so. It begins to digest itself in as little as twenty-four hours after its first appearance. Enzymes called chitinases break down the chitin providing strength to the cell walls in the gills and cap, which destroys the cells in these areas. Autodigestion begins at the edge of the cap and proceeds inwards. The cap opens and the edge curls upward as digestion takes place, exposing successive layers of spores to air currents. The gills are tightly packed, so their digestion helps to free the spores. In some inky cap mushrooms deliquescence or liquefaction of the cap is complete, while in others it's only partial. The production of an inky liquid is not the shaggy mane's only claim to fame. When there is enough moisture in the environment, a new mushroom may grow with such force that it can break through old asphalt and concrete. In 1820, English poet Percy Bysshe Shelley wrote the four lines below in his poem "The Sensitive Plant". The lines appear just after a stanza about other fungi and are commonly believed to be a description of a shaggy mane mushroom undergoing autodigestion. According to the University of Adelaide, the lines were omitted from later versions of the poem. 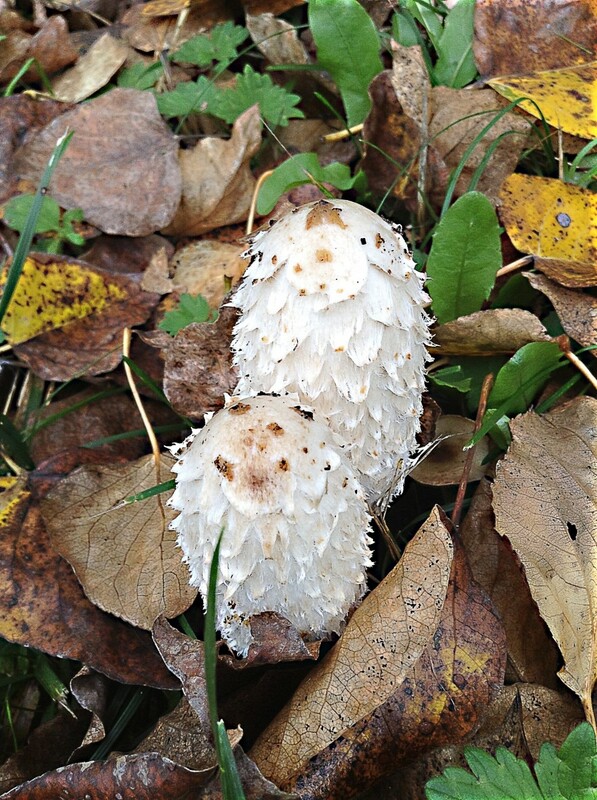 Despite its strange behaviour, the shaggy mane is edible and is said to be pleasantly flavoured. Collecting wild mushrooms to eat can be dangerous, since many are poisonous. A mistake in identification can be deadly. Mushroom experts say that the shaggy mane has a distinctive appearance and is easily identified, however. It would be a good idea to check with an experienced mushroom forager before picking and eating shaggy manes for the first time, though. 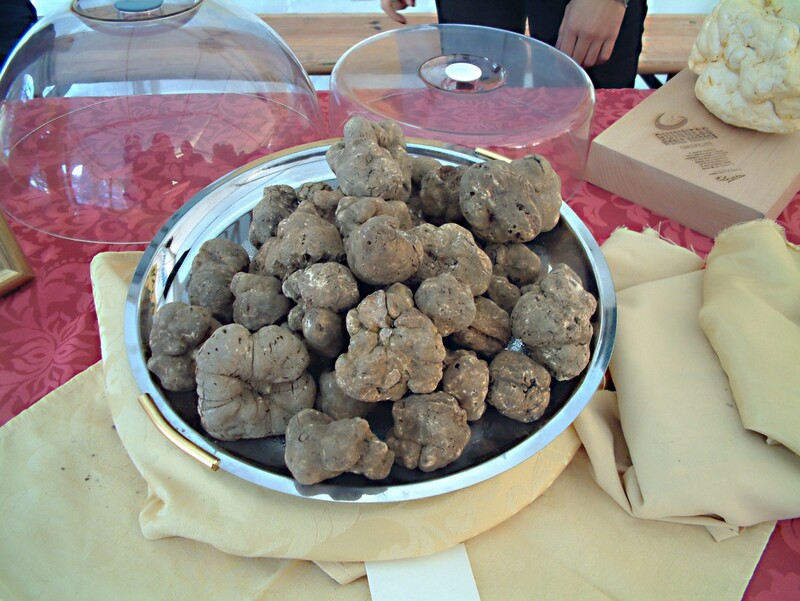 The mushrooms should be collected from an unpolluted area while they are still in excellent condition. They will start turning into ink just a few hours after being picked. Refrigeration slows this process down only slightly. The ink isn't dangerous to eat, but it doesn't taste very good. 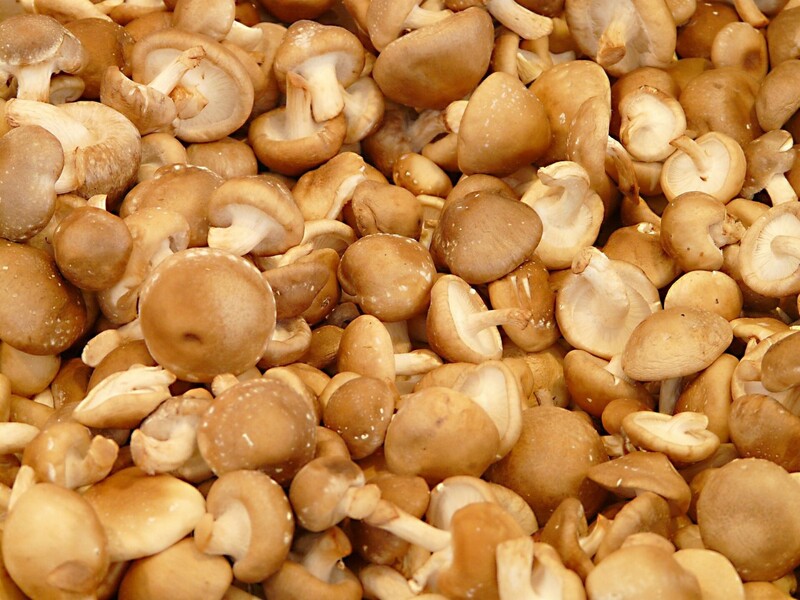 Some mushrooms should be left unpicked so that they can release their spores into the environment and reproduce. 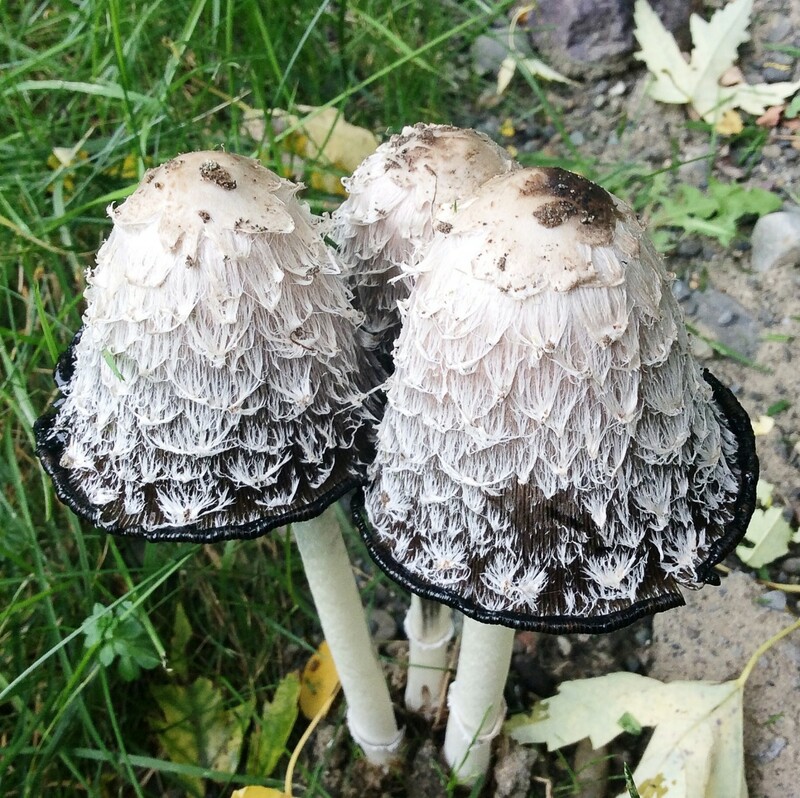 In addition to being eaten, shaggy manes are used to make a dye. If the mushrooms are heated in water in an iron pot, an olive green dye is produced. In a solution containing ammonia, a grey green dye is produced. The dye can be used to color wool, fabric, and paper. The common inky cap mushroom is bell shaped and has a striated surface on its cap. The cap is light grey or buff in color and has a ragged or pleated edge. As in the shaggy mane, the gills are white at first and then to turn to grey and finally to black. Also as in the shaggy mane, the cap doesn't open up into an umbrella shape until autodigestion begins. 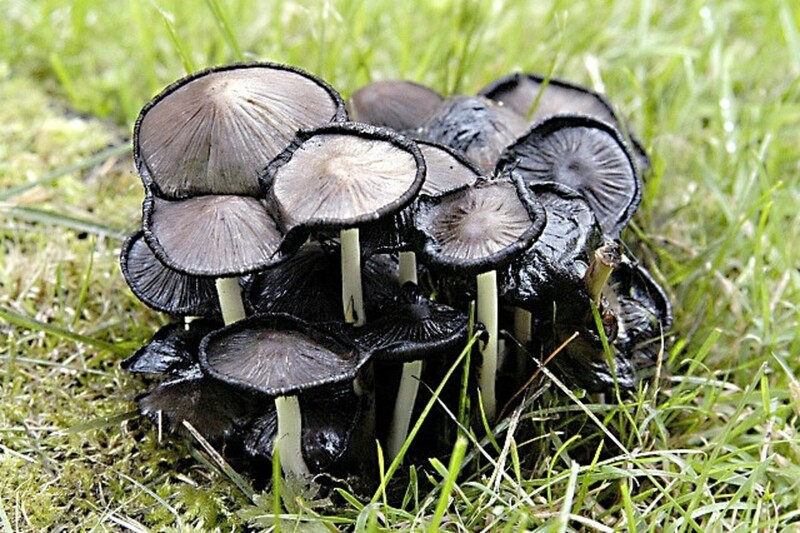 The common inky cap is found in North America, Europe, and other parts of the world. It's not as distinctive or as easily identified as the shaggy mane, until it turns to ink. The mushroom appears in the fall and grows in soil and grassy areas, in areas where wood is decaying, and on disturbed land. 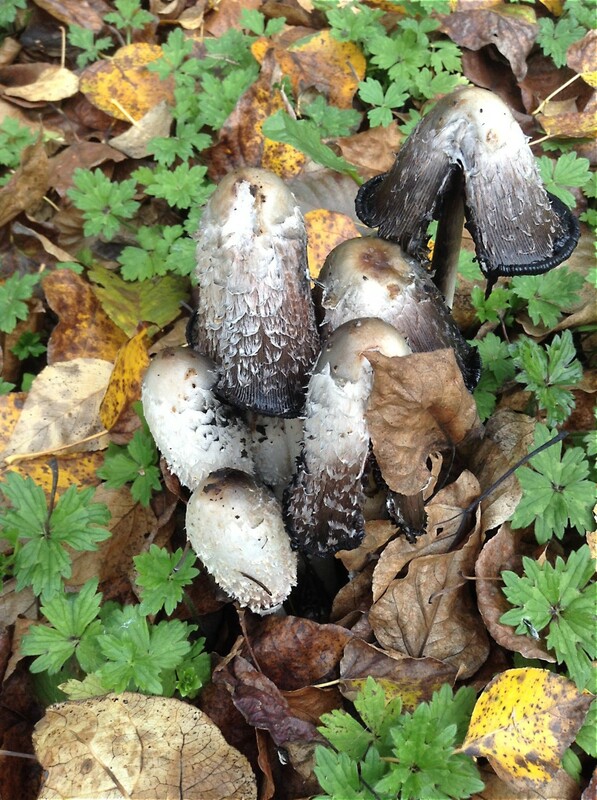 Like the shaggy mane, the common inky cap has been known to push through asphalt as it grows. The mushroom is edible, but unlike the shaggy mane it contains coprine. The alternate names of tippler's bane and alcohol inky are certainly appropriate for this fungus. Consuming alcohol before or after eating common inky caps produces very unpleasant effects. Coprine is considered to be a mycotoxin—a toxin that comes from a fungus. The combination of common inky caps and alcohol produces unpleasant symptoms but doesn't seem to be dangerous. Recovery is apparently complete, although it's possible that secondary effects could be serious. There has been at least one report of an esophageal rupture due to excessive vomiting after consuming common inky caps and alcohol. If symptoms are severe or last for a long time, medical aid should be sought. It's also important to note that the symptoms listed above can have other causes besides mushroom poisoning. How Does Coprine Harm Us? 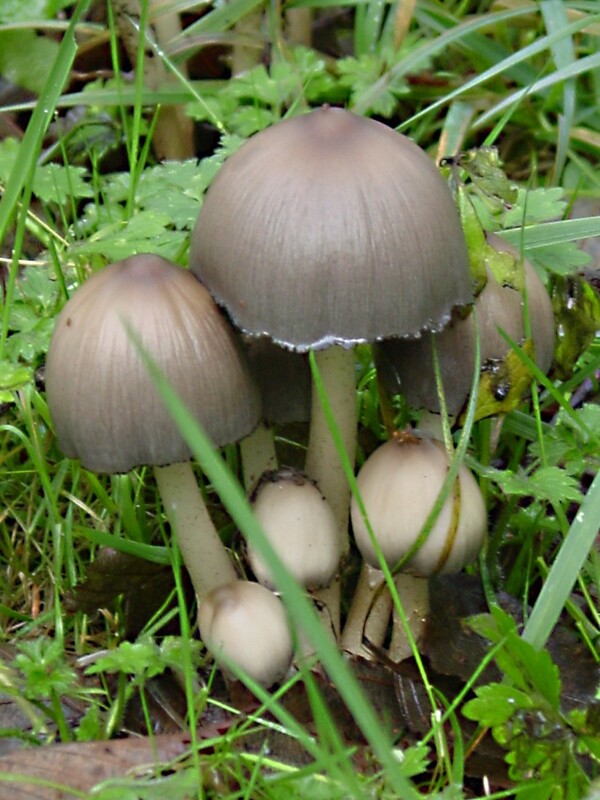 Coprine produces its effects on alcohol metabolism if the alcohol is consumed after common inky caps are eaten. There are reports that the effects can appear if alcohol is drunk up to five days after eating the mushrooms. Coprine may also affect the body if ingested shortly before alcohol consumption. Ingestion of coprine without alcohol seems to be safe, however. In normal alcohol metabolism, the body converts the alcohol to acetaldehyde. Acetaldehyde is responsible for most of the symptoms of a hangover. An enzyme called acetaldehyde dehydrogenase converts the acetaldehyde to relatively harmless acetate and carbon dioxide. Coprine stops acetaldehyde breakdown, thereby intensifying and prolonging the effects of alcohol ingestion. The video below shows an interesting time-lapse view of inky cap autodigestion. Disulfiram is a chemical given to alcoholics to deliberately increase the unpleasant symptoms of alcohol consumption. The strategy is designed to encourage the reluctance to drink alcohol. At one time it was thought that coprine might be a good substitute for disulfiram in treating alcoholism. However, this idea was given up when an experiment with dogs showed that coprine damaged reproductive organs and caused sterility in males. The coprine needed to be ingested in large amounts to cause these effects, however. Dusulfiram is marketed with the trade name of Antabuse or Antabus. It has a different chemical structure from coprine, but like coprine it prevents acetaldehyde breakdown in the liver by inhibiting the acetaldehyde dehydrogenase enzyme. This increases a person's sensitivity to the negative effects of alcohol consumption. Do you collect and eat wild mushrooms? No, I'm far too scared about toxicity. I collect only a few kinds that I can identify easily and that have never hurt me. I love to find new types of wild mushrooms to eat! Inky caps are a fascinating part of nature. Observing and photographing them is an enjoyable part of my autumn walks. I don't collect wild mushrooms for food, though. If you want to collect them, you should seek advice from an experienced forager. In addition, you should read more than one mushroom identification book and look at lots of photos and videos in order to pick up further identification clues. It's important to collect only distinctive species of mushrooms that aren't easily confused with poisonous ones. There are many dangerous mushrooms that can be mistaken for edible ones. Collectors need to be cautious when gathering any type of fungus, especially when they don't have access to the specialized equipment and techniques used by scientists for identification. I'm content to admire and photograph wild mushrooms and to get my edible ones from the grocery store. My local stores sell quite a wide variety of mushroom species, which satisfies my desire for different tastes. Can I buy shaggy mane and inky cap mushrooms at a grocery store? I doubt it very much. I've never seen them in a grocery store. They turn to ink very soon after being picked, even when refrigerated, so they wouldn't last long in a store. It may not be a good idea to collect them from the wild, either. It's risky to collect any mushroom from the wild unless a person is absolutely certain about the identity of the mushroom that they've picked and knows that it's safe to eat. The names “shaggy mane” and “inky cap” (or ink cap) do sometimes refer to same mushroom. Since common names are so variable it’s best to refer to a mushroom by its scientific name in order to avoid confusion, though. Coprinus comatus is known as the shaggy mane because its cap develops a ruffled appearance and as the inky cap because it dissolves into black goo as it ages. Coprinopsis atramentaria doesn’t develop ruffles, but it does turn into ink. It’s often known as the common inky cap, but sometimes the word “common” is dropped and the mushroom is referred to as just an inky cap. Are shaggy manes and ink caps the same mushroom? I have searched and they look the same. Thank you very much for the comment, Kristen. Shaggy manes generally produce ink as they deteriorate, so it will be interesting to see what happens to the mushrooms outside your apartment. I've been trying to figure out what type of plant was growing out of the gravel outside my apartment for months & your article FINALLY solved the mystery!! Thank you!! It's VERY bizarre looking, almost creepy how it's got the textured scales on not only the cap but the stem as well. I live in Phoenix but up until the last 6 months, I've never seen anything like it, anywhere. So far, the 1st one turned brown and almost wilted in appearance (not inky) and the 2nd is starting to turn brown. Maybe it's the weather or lack of moisture. Regardless, I'm fascinated!! THANK YOU FOR THIS ARTICLE!!! Mystery solved!! I appreciate your comment, Daniel. Hi, MelRootsNWrites. Thanks for the comment. Autodigestion by inky caps leaves a gooey black deposit on the soil. Many fungi have white hyphae that continue to grow in the soil once mushrooms have been picked. Some fungi produce gelatinous hyphae, but I don't know if these can produce a texture like marshmallow. This is an interesting question! This was so fascinating. I don't think I've encountered this type of mushroom before. I have a question about auto-digestion. Does it leave behind anything in the soil or on grass? The reason I ask is two years ago I was plagued by some strange mushrooms. Every day for 3 months I pulled them out of the back lawn. Then I realized that there was this white marshmallow like substance that they left behind. One I scrapped that up, the mushrooms died out. Could it be from that process? It sounds like you have a lovely memory from your childhood, precy anza. Picking mushrooms sounds like fun, as long as a person is certain that they are picking something safe! Learned something new with this, didn't know they are made into dyes. Also reminds me a lot of childhood as I trailed behind my parents, as they pick mushrooms, straw mushrooms in the morning. Hi, VioletteRose. Yes, many mushrooms do look beautiful and unique! I love to see them, even though I don't collect them. Thanks for the comment. I am not a big fan of mushrooms. But I use them in few recipes occasionally since my husband likes it. Many of them look amazingly beautiful and unique, don't they? Thanks for sharing valuable information about the shaggy manes and inky caps, it is really important to be careful if you are looking for edible mushrooms in the wild. Thanks, Martie! I would want to be 100% sure before I collected any wild mushroom for food, too! Foraging for food is an enjoyable activity, provided the food is safe. Thank you very much for the comment, the vote and the share, Carolyn! I appreciate your visit. This is a subject I've wanted to learn more about. I had never heard of shaggy manes, but I think ink caps are present where I live, I didn't know their name either. I would love to forage, but I'm so ignorant on this! Maybe I'll study this hub and then give it a go ;-). Upvoted and shared! Hi, ignugent17. Thanks for the comment! I eat quite a lot of mushrooms and enjoy them, but they are all cultivated kinds. Thank you very much for the information that you shared about these mushrooms. I eat mushrooms but not really a fan of it. I remember when we were young. We use to hunt them and my father would always remind us to make sure that we get edible and not the poisonous mushrooms. Thank you very much for the kind comment, Bill! Hi Linda. Very interesting. My father used to take us mushrooming when we were young. Sure wished I paid attention to what he was doing. 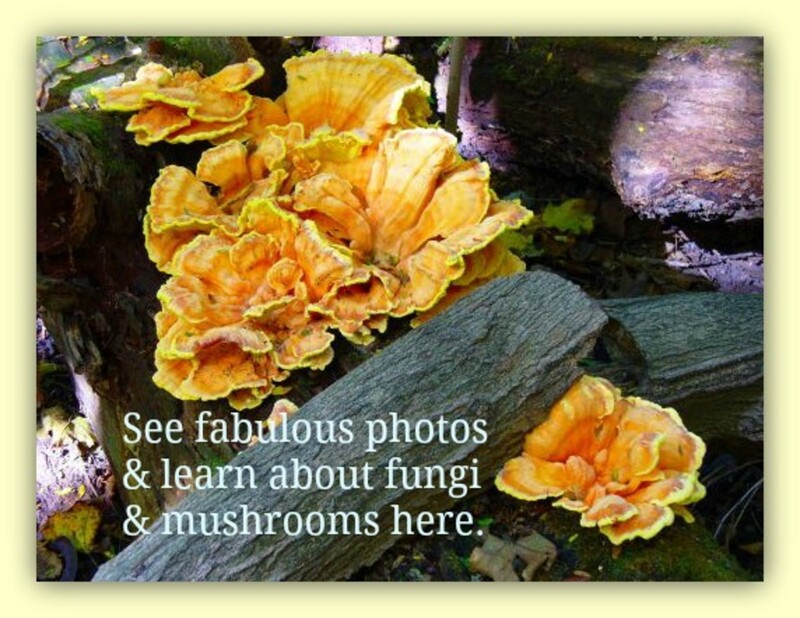 I would love to be able to recognize and pick wild mushrooms. Another educational and interesting hub, great job. Thank you very much, Rebecca! I appreciate your visit and comment. Very interesting, Alicia. I love the Shitaki mushrooms, and all the edible ones that I know about. What a good job, and so informative! Hi, Nell! Thanks so much for the comment and vote. I appreciate the share, too, especially since it was so difficult! The alcohol inky actually promotes the less pleasant symptoms of alcohol ingestion. I wouldn't want to experiment with it! Shaggy manes are a lot safer. I hope you have a great weekend, Nell. Hi, fascinating look at these amazing inky caps, never heard of that saying before! lol! and I didn't realise that the chemicals could keep alcohol affects going, makes sense why people take it with alcohol now, not that they should take them at all without proper guidance, and using them for dye too, fascinating! I learned something new, so that's great! lol! wonderful hub, voted up and shared, if the darn button works, so its tweeted instead! Aha, that's got round it! LOL! Thank you very much for the kind comment, Cynthia. It's fun to write about nature and biology! Thanks for the comment and the votes, Vellur. As always, I appreciate your visit! Enjoyed reading the hub about Shaggy Manes and Inky Caps. It is always better to get store mushrooms than eat poisonous mushrooms, great hub. Voted up, interesting and informative. Hi, ologsinquito. Yes, the health effects of mushrooms are fascinating. They can be very useful organisms! Thanks for the visit. Mushrooms are so fascinating, and modern scientists are just beginning to explore their healing capacities. Hi, seanorjohn. I wouldn't feel confident in always distinguishing safe from poisonous mushrooms either, except in some cases. If I had time, I'd like to participate in a course run by a mushroom identification expert, too! Thanks for the comment. Thanks for the comment, the vote and the tweet, Peggy! I think that photographing mushrooms is enjoyable, too. Mushrooms are a lovely part of nature. Great advice to buy wild mushrooms from a store. I would not be confident to identify the edible from the poisonous. However, I would love to go on a course run by professional mushroom experts. Great article. My mother picked morels when I was young and just before moving to Texas we found out that the puffballs that were plentiful in a nearby woods were edible. I have never picked wild mushrooms however for fear that I might be picking the harmful ones. Like you, I do photograph them however. Very interesting hub! Up votes and tweeting. Hi, Flourish. Yes, it is interesting to think about how the connection between the mushroom and alcohol consumption was first discovered! Thanks for the visit and the comment. This is so interesting -- the uses and their odd characteristics. It makes me wonder how somehow came up with Antabuse connection. You can almost picture a drunk mushroom picker learning his lesson for the first time, then trying it again, and again before figuring out he's on to something. Loved the time lapse video! Hi, Bill. I don't see mushroom pickers near my home, but I do see some very interesting varieties of cultivated mushrooms at local farmers markets. Mushrooms can be a tasty and interesting food! Thanks for the comment. Thank you very much for the comment and votes, Pamela! I would collect wild mushrooms if I had a source that contained lots of mushrooms that were known to be safe. Antabuse is an interesting substance. It isn't actually made from mushrooms, but it has similar effects to the alcohol inky. Thank you so much for the share, dis-cover! I appreciate your visit and comment. Hi, Jodah. That sounds like a great activity! If I had a reliable source of mushrooms that I knew were safe, I would collect them. Thanks for the vote. Hi, DDE. Thanks for sharing the story. Many years ago I heard of a person recognized as a mushroom expert who died from eating poisonous mushrooms, so we do have to be very careful when collecting wild mushrooms. I don't know about in your area, but here we have a great many people who pick mushrooms, for personal use and sale. At certain times of the year, the woods are filled with pickers. Great information as always. This hub is very interesting and useful. I have always been reluctant to collect wild mushroons, but I sure buy them from the store. You really gave us a through overview of some of the mushroon varieities. I never knew Antabuse was made from mushrooms. Voted up, useful and interesting! Very interesting and useful hub! Voted up and shared. Very interesting hub Alicia. I love mushrooms too. Mushrooms grow wild after prolonged rain on our property. I collect them and we usually get enough to add to three or four meals. am areful to only pick the type I know are fine. Voted up. I don't trust the thought of foraging for mushrooms in the wild to scared of picking the wrong ones. A while back a family picked mushrooms after a recent rain and cooked these mushrooms sadly the family died from poisoned mushrooms. It scared me and besides I would not take that chance. A very insight here. I really like mushrooms and prefer to buy. Hi, vespawoolf. I love to find and photograph wild mushrooms. I'm reluctant to collect and eat them, though, like you. Some are hard to identify and are easily confused with poisonous mushrooms. Some wild mushrooms do sound tasty, though! What interesting and useful mushrooms! How nice that the shaggy mane is edible and easy to identify. 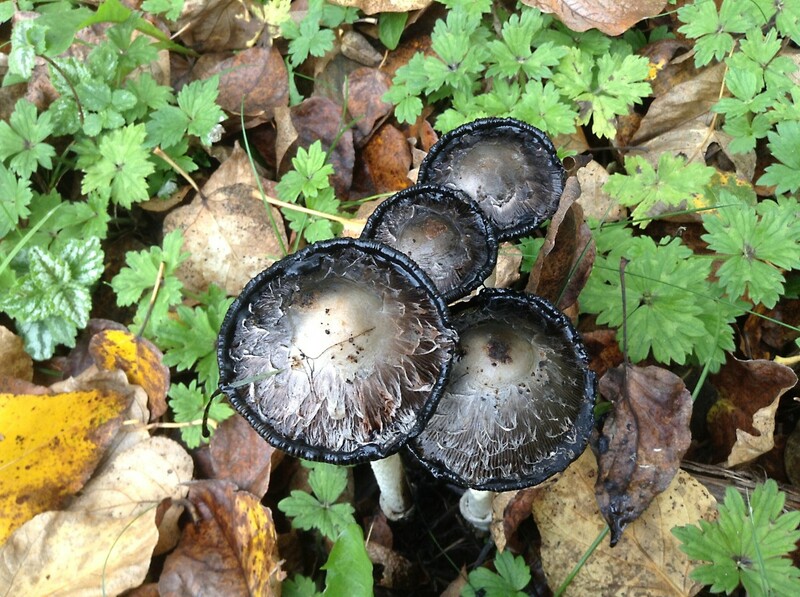 The medicinal uses for inky cap are very useful for alcoholics. 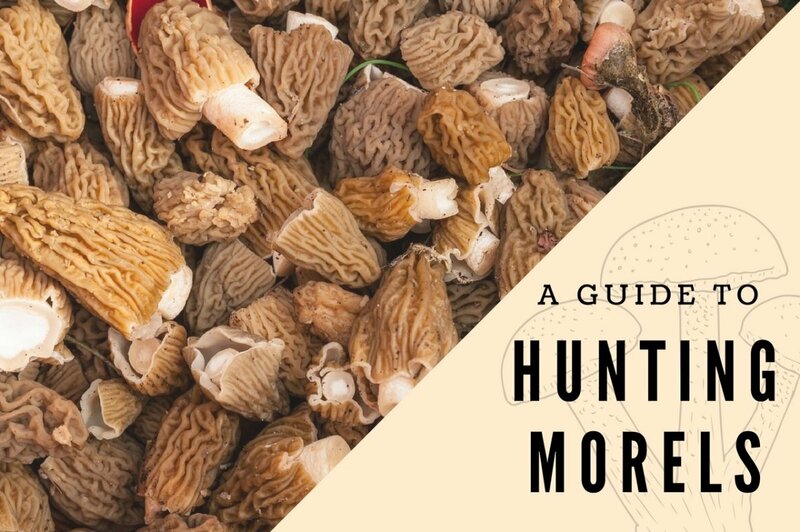 My parents used to collect and eat wile Morel mushrooms, but the fear of being poisoned keeps me from following in their footsteps. But now I would try the shaggy mane if the opportunity presented itself. Thank you! Thanks, Liz. I appreciate your visit! I love mushrooms, too, but I only eat cultivated ones. Very educational hub! I love mushrooms, but can honestly say I knew nothing about them, other than which ones to buy at the grocery store. Very interesting! Thank you very much for the lovely comment and for making the effort to visit my hub, Faith! I haven't received any notifications today, either, so I'm also going to have to visit hubs by using the long method! I hope you have a wonderful week, Faith. Hi Alicia, great hub! I am enjoying the day off today but I realized I have not received any HP notifications at all since 11:55 yesterday? So, I am going about it the long way. Fascinating hub here and I always learn so much from your hubs on interesting topics. I love mushrooms but I would never dare to eat wild ones for I am clueless as to which ones are safe. Plus, there are so many varieties and some may appear to be the safe ones when in reality they are not. Loved the time lapsed video of the Shaggy Mane Inky Caps ... wow, it truly does look like black ink! Hi, MJ. Thank you very much for the visit and the comment. I've never thought of that before, but you're right - "inky cap" does sound like something from Monty Python! Loved this, Alicia. Fungi are fascinating. I had no idea there were worm-eating fungus among us! The name "inky cap" sounds like a tag line from a Monty Python sketch. Thank you for such a glimpse into varieties of mushrooms that don't exist in my corner of the world!